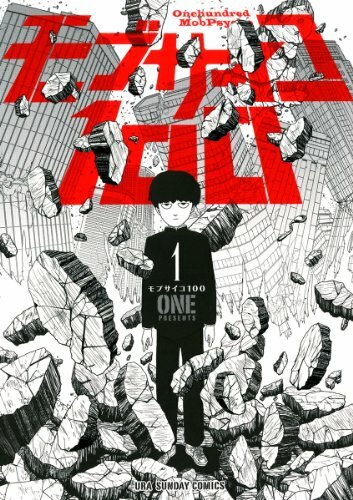 ONE, the pen name of the mangaka that has brought you One Punch Man, will be getting another television anime for his other series Mob Psycho 100. The announcement was made in Shogakukan’s Ura Sunday comic magazine. The anime is scheduled to air sometime in 2016 and will be produced by BONES. The story revolves around a boy named Mob. Mob has a bit of a problem in the fact that if his emotions were to ever hit 100% capacity… he will explode. Mob is timid and doesn’t stand out among other people, though. He prefers it that way because he also happens to have psychic powers and laying low is the perfect cover to hide them away. ONE launched the series back in 2012 in Ura Sunday and then in 2014 on their MangaOne app. This Friday will be the release of the manga’s 11th volume in Japan.